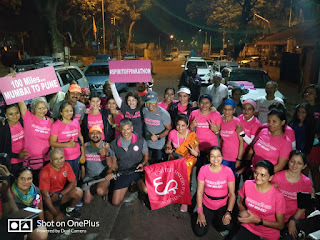 Mumbai, November 23, 2017: The Spirit of Pinkathon Mumbai2Pune Run organised by United Sisters Foundation to promote the message of Colors Pinkathon Mumbai & Pune was flagged off by Milind Soman at Shivaji Park today at 5:00 am. First time twenty girls from the age group of 67 years to 26 years ably trained by Milind Soman himself will be running 160 kms from Mumbai to Pune over three days to spread the message of health & fitness for all women. The run started on 23rd November from Mumbai and will end on 25th November at the University Circle, Pune. None of these girls are trained athletes or elite runners. They are ordinary women who took up running for fitness. 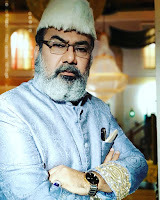 The twenty women participants are: Samta Suryawanshi, Suju George, Daksha Kanavia, Seema Mehta Roy, Reena Chauhan, Shraddha Ranaware, Dr. Noureen Hemani, Madhavi Rane Chikhale, Aparna Dsouza, Dr Savita Sangram Pandhre, Pooja Varma, Poornima Shetty, Meena Thaker, Queeny Silveira, Shital Shah Gala, Arti Meher Kamble, Vidya Sagare D’Souza, Anjali Prabhudesai, Sumithra Nachiappan and Ritu Handa. Pinkathon is India's biggest women's run to encourage and promote fitness & health among women and create awareness for women’s wellness & Breast Cancer.